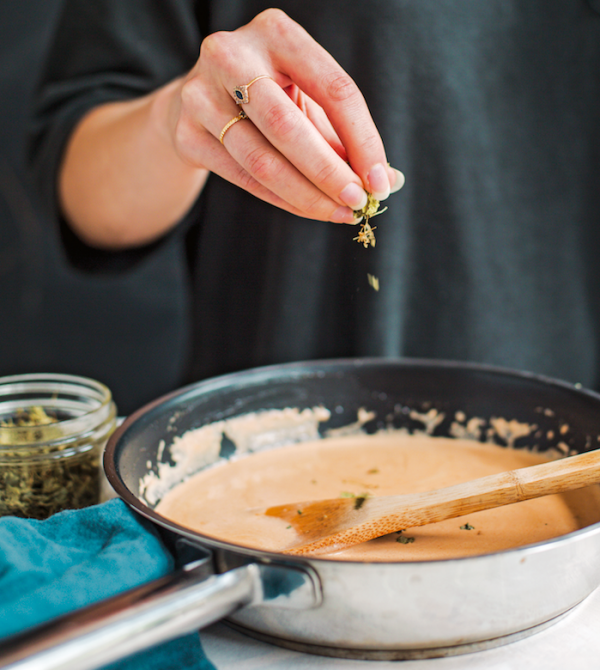 In the universe of culinary schools, once students get out of the classroom and into the kitchen, learning how to make sauces comes early. That’d be somewhere after knife skills, and just after making stocks. The latter is “basic to sauce making. There’d be no way to reverse the order,” said Robert Ramsey, chef instructor at the Institute of Culinary Education in New York City. 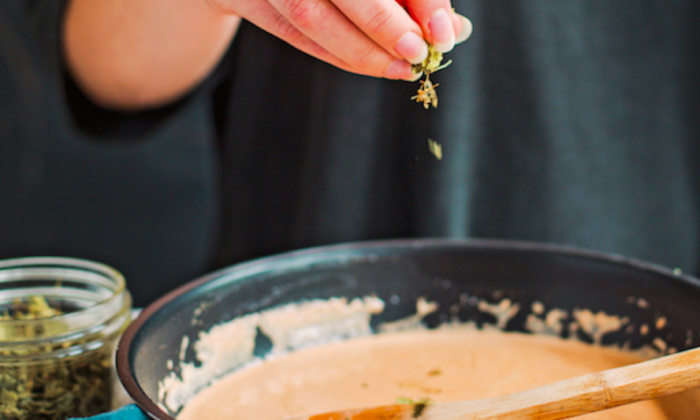 A classic French curriculum includes the five mother sauces in French cuisine—béchamel, velouté, espagnole, hollandaise, and tomato. Each in turn engenders countless related variations. Sauces were popular in aristocratic French circles, and by the mid-1800s, Ramsey said, hundreds of these sauces had been developed. French chef Auguste Escoffier developed a system to organize these sauces in the seminal “Le Guide Culinaire,” published in 1903. At the very top end restaurants today, there is still a saucier, a cook in charge of making sauces, a position generally regarded as the highest non-management position among cooks, Ramsey said. And although French cuisine might not be necessarily at the forefront of culinary instruction, or diners’ preferences, teaching and learning its techniques remain an essential foundation. 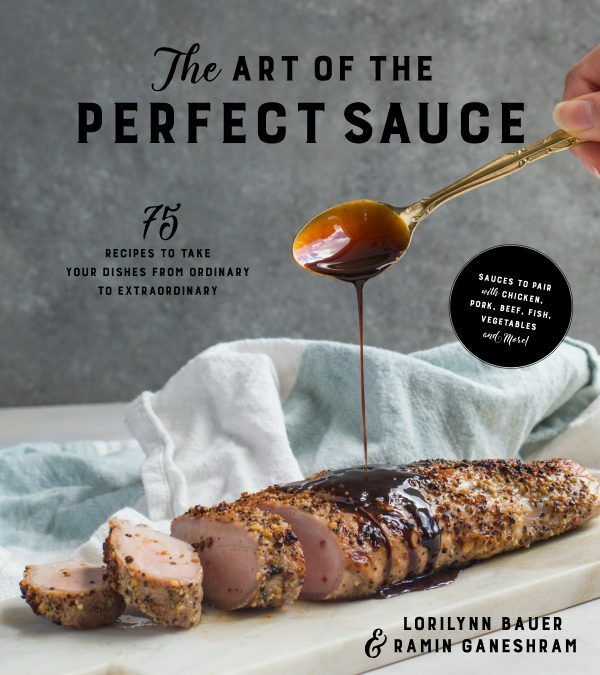 She and Bauer conceived of the cookbook by brainstorming dishes that anyone with basic cooking skills could easily whip up—pork chops, baked chicken, and sauteed vegetables, for example—but who might need just the extra step to improve their dishes. And yes, that extra step means sauces. To that end, the cookbook provides the recipes for just the sauces and suggested uses, but stops short of, say, featuring a recipe for what the sauce is meant to accompany. It works. The sauces are very accessible—and for a weeknight dinner that needs to hit the table quickly, who couldn’t use some quick go-to sauces to make their dishes sing? The extra 15 minutes it often takes is well worth it. One of Ganeshram’s favorites is a scallion and ginger sauce, commonly served with dim sum. “The first time I had this sauce, now many, many years ago, at a dim sum [restaurant] in Chinatown, I was convinced there was more to this sauce,” she said. “I was putting it on everything, even things it didn’t belong with.” When she found out the ingredients, she was incredulous. It was oil, scallion, ginger, and nothing else. “I love sauces like that,” she said. The sauces in the cookbook are diverse, drawing from many culinary traditions around the world. There’s an intensely herbal Buccaneer Chimichurri, inspired by the green seasoning found in the Caribbean, with thyme, oregano, parsley, and aromatics, and made even zippier with lime juice. Another very simple sauce to throw together is a tikka masala sauce. “It’s one of those restaurant dishes that feel more complex than it is,” Ganeshram said. It takes about 15 minutes to make, and once you’ve done your shopping for the spice mixes, you only need butter, tomato paste, stock, and heavy cream. Serve it with some chicken, over rice, and you’re set. A section on sweets highlights sauces you can add to ice cream, pancakes, or whatever your imagination dreams up. Ganeshram favors a chocolate Guinness sauce created by co-author Lorilynn Bauer: “You wouldn’t think it’s good, but it’s so delicious. You don’t really taste the Guinness. It adds a warm spiciness to the chocolate sauce,” she said. Chicken Tikka Masala is probably the best known of all Indian restaurant dishes and one of the most beloved. A secret about this creamy tomato-flavored sauce: It’s not a traditional Indian dish at all. Tikka masala was created in a London restaurant by an Indian chef who wanted to meld in South Asian flavors with western sauce ingredients in order to appeal to English audiences. The end result is this sauce that features both garam masala and ginger and tomato paste and heavy cream. This is a great simmer sauce to make ahead and keep in the refrigerator for a quick Indian-inspired meal. It’s equally good with chickpeas, lentils, boneless chicken, fish or shrimp. Simply cook your main ingredient, and then add it to the tikka masala sauce and simmer together for 20 minutes to combine the flavors. One of our favorite, easy preparations is to cube chicken breast and season them with garam masala, ginger, and tandoori seasoning, which is now widely available in the spice aisle of grocery stores. We bake the pieces in the oven or grill them and add to the tikka masala sauce. Fenugreek leaves add an authentic flavor to this dish but if you can’t find it feel free to omit or simply garnish your finished dish with parsley or cilantro leaves. Melt the butter in a medium saucepan over medium low heat and add the garam masala, tandoori seasoning, and ground ginger. Cook for 1 minute, stirring well. Add the tomato paste and cook, stirring, 1 more minute. Pour in the chicken stock and use a whisk to stir well and break up lumps. Simmer for 1 to 2 minutes, then add the heavy cream and salt. Whisk well, until smooth, and reduce the heat to medium-low. Simmer for 10 minutes. If using, rub the fenugreek leaves into a powder between your palms and add to the sauce. Simmer for an additional 5 minutes. Add cooked chicken, fish, lentils, or shrimp, and simmer on the lowest heat setting for 20 minutes. Alternatively, store the finished sauce in a tightly sealed container in your refrigerator to use within 3 days. This sauce is based on a Caribbean multi-herb flavoring paste called Green Seasoning. Originally it was a mixture used to season and flavor game meats before they were smoked for preservation in a process said to be created by the Buccaneers—the original pirates of the Caribbean. We like to process the paste into a smooth sauce, with the addition of a good quality olive oil and lime juice to replace the white vinegar that is traditionally used. Because this sauce is an explosion of green herb flavor, it can be used either as a marinade, a brushing sauce for barbecue meats, or even like a chimichurri on top of a beef or lamb burger or grilled steak. 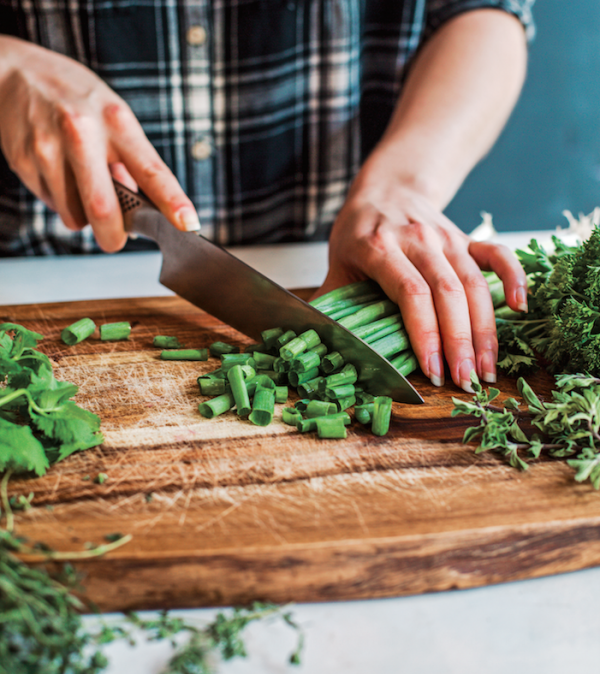 Place the parsley, culantro, scallions, oregano, and thyme in a food processor and process to a rough paste. Add the shallots, garlic, habanero pepper, and salt, and continue to process until the paste becomes smoother, about 1 minute. Pour in the lime juice slowly, while processing, until you achieve a smooth paste. Add the oil in a thin stream while processing until the sauce is thick and well incorporated. Store in an airtight jar in the refrigerator for up to 1 week. Serve as a topping on beef or lamb burgers or just before serving a grilled steak like London broil. We absolutely love the syrup made from dried roselle hibiscus flowers. Hibiscus syrup is common in Central America and the Caribbean, where it is the basis of a traditional drink called sorrel. Our hibiscus syrup is the perfect mix of sweet and tart. We make a batch of this and keep in the refrigerator to use in place of syrup over pancakes. It’s also wonderful with poppy seed cake and as an accompaniment to iced tea. Combine the water, sugar, and hibiscus flowers in a large saucepan. Bring to a boil, stirring occasionally and continue to simmer until a thick syrup forms, about 12 to 15 minutes. Remove from the heat and stir in the lemon juice. Split the vanilla bean lengthwise and scrape out the seeds. Add both the seeds and the bean to the hibiscus mixture. Let the mixture steep for 30 minutes then strain through a fine sieve. Strain again through a cheesecloth to remove fine powdered hibiscus debris. 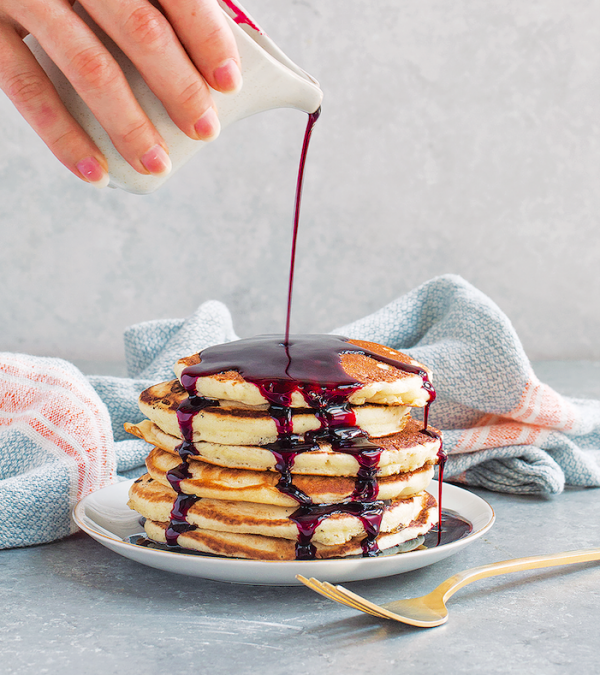 Let the syrup stand at room temperature until cool, about 1 hour, then transfer to an airtight jar or bottle and refrigerate for up to 3 weeks. Serve with pancakes, waffles, cake, or light mousses. Reprinted from “The Art of the Perfect Sauce” by Lorilynn Bauer and Ramin Ganeshram. Published by Page Street Publishing.